The Hunts — five brothers and two sisters — were introduced to music by their parents at an early age while growing up in Virginia. 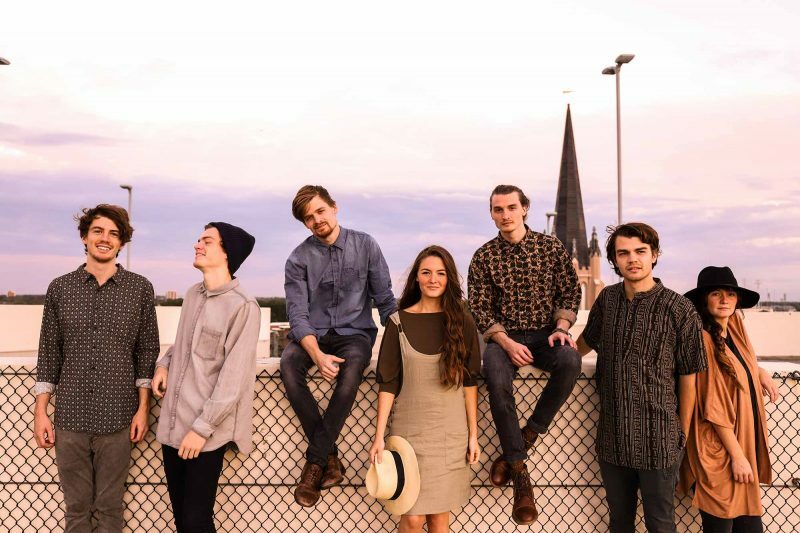 The Hunts, whose ethereal vocal blend is what you might expect from seven brothers and sisters, bring their original, indie-alternative-folk music to the Winthrop Barn on March 23. The siblings — most still in their 20s — grew up in a musical home near Chesapeake, Virginia, and their music shows the rich and complex influences of that tradition. Their pure voices and close harmonies are backed by an impressive array of instruments, with Josh on guitar, Jenni on violin, Jonathan on keyboards, Jordan on drums, Justin on bass, Jamison on mandolin, and Jessi on viola and banjo. The Hunt kids — twin sisters and five brothers — were introduced to music early on by their parents. Their mother, a classically trained violinist, and their father, a self-taught guitarist, were a regular duo at weddings and local eateries. The septet started out doing covers of music greats from Elvis to Leonard Cohen, but by the time they were in their teens, they had begun composing original tunes. The Hunts have been touring the country for the past decade, performing at music festivals including Austin City Limits in Texas, Red Rocks in Colorado, Firefly in Delaware, and Summerfest in Wisconsin. They’ve also opened for the bands The Fray, X Ambassadors, Judah & the Lion, and O.A.R. The Hunts’ most recent album, Darlin’ Oh Darlin’, contains 11 tracks, from ballads to upbeat numbers, marked by hauntingly beautiful melodies and stirring harmonies. Methow Arts is bringing The Hunts to the Winthrop Barn on Saturday, March 23, at 7 p.m. Advance tickets are $25 for reserved seating on the main floor and balcony, and $17 for general admission for adults. Tickets at the door are $20 for adults. All tickets for ages 5 to 18 are $10. Beer, wine, cocktails, soda and coffee will be available for purchase.